Acquisition of ROC Global Solution Consulting Ltd.
Zalaris ASA has today agreed and completed the acquisition of 100 percent of the shares in ROC Global Solution Consulting Limited (ROC), a UK based human resources consulting company. 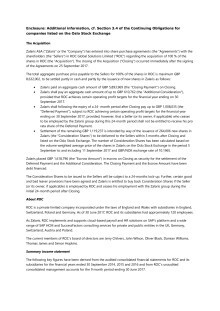 Zalaris ASA (OSE: ZAL) has today agreed and completed the acquisition of 100 % of the shares in ROC Global Solution Consulting Limited (ROC), a UK based human resources consulting company with expert resources located in markets in the UK, Germany and Poland, which gives Zalaris immediate access to the UK market and strengthens its HR advisory and Cloud services capacity. “Joining forces with ROC gives us immediate access to the UK market, which is new to Zalaris. 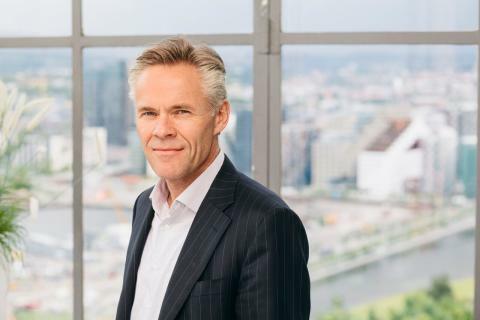 It also adds new capability to provide HR advisory services and gives us additional capacity to meet the fast-growing demand for SuccessFactors based Cloud solutions in other key European markets”, says CEO and founder Hans-Petter Mellerud of Zalaris. The deal unites two complementary SAP Human Capital Management (HCM) and SuccessFactors partners, adding to Zalaris’ presence in Europe and new markets. The combined entity will deliver a complete suite of payroll and HCM services covering the Nordics, Baltics, Poland, UK, Germany, Austria, Switzerland, Spain and India. The transaction confirms Zalaris’ growth strategy, following the acquisition of sumarum AG in Germany in May 2017. The acquisition of ROC will contribute to further strengthening of Zalaris’ presence in Germany and Poland, and will give Zalaris access to the market in the UK - one of the largest markets for outsourced IT and HR services in Europe. “This is another important milestone for Zalaris, providing us with a strong foothold in one of the most promising markets in Europe, going forward. In Germany we strengthen our position in the SAP HCM market, and will expand our service offering especially in the cloud segment and for large multi-country customers. In the UK, ROC’s highly qualified team will now be able to offer Zalaris’ services to its existing and potential clients”, Mellerud says. Strong trends are transforming the human resources market. According to industry expert Everest Group, 35 percent of all data is now in the cloud. By the end of Q2/17, the cloud segment generated 14 per cent of Zalaris’ revenues - growing from less than 1 per cent only two years ago. “This acquisition brings both HR advisory expertise and capacity to Zalaris, boosting our ability to deliver in the fast-growing cloud market. This strengthens our ability to meet our clients’ expectations”, Mellerud says. ROC is a human capital management consultancy that specialises in SAP and SuccessFactors HCM-related services. SuccessFactors is SAP’s strategic HR tool in the cloud, covering the entire value chain of HR tasks from recruiting to exit. “Companies demand advisory services in the HR market. This strategic acquisition enables us to give the best advice to our customers, in addition to offering our services to new markets,” Mellerud says. In April 2017, Zalaris announced a global contract with the Norwegian energy champion Statkraft. ROC and Zalaris are already working together for Statkraft in the UK. ROC has five offices in UK, Germany and Poland and serves blue chip customers in the following sectors: Banks, Automotive, Utilities, Hospitality and Professional Services. “Joining forces with Zalaris is a great opportunity for our SAP and SuccessFactors consultants to team up and build the leading European player within the HR Services and Consulting industry. It will strengthen our joint capability to advise and serve our customers on how to structure and implement effective people processes that drive employee engagement and satisfaction,” says Jerry Chilvers, CEO and founder of ROC Group. The total consideration to be paid by Zalaris for 100% of the shares in ROC is up to GBP 8.6 million and will be settled through cash payments in the total aggregate amount of up to GBP 7.5 million and the issuance of 264,006 new shares in Zalaris. The consideration shares will be issued within a 3-month period after completion, listed on the Oslo Stock Exchange and subject to lock-up for a period of 24 months from completion. Detailed information regarding ROC and the transaction prepared in accordance with the requirements set out in Section 3.4 of the Continuing Obligations for companies listed on the Oslo Stock Exchange, is set out in the enclosure hereto. This information is subject to the disclosure requirements set forth in Section 5-12 of the Norwegian Securities Trading Act. ROC has consultants working in a wide range of industries, helping companies solve business issues within the HR and talent management arena. The company was established in 1998 and employs over 112 consultants in five offices in Germany, Poland and the UK, all totally dedicated to HCM. The company is headquartered outside London and key technologies are SAP HANA,SAP HCM, SuccessFactors. ROC consultants specialist practices covering time & pay, talent management, shared services, analytics, business transformation, portal solutions and global support. ROC has the knowledge and expertise to design and deliver solutions across a range of HR functions and service models.